Miriam Anne (Halbert) “Dukie” Armintrout passed away on February 8, 2019, under the care of Mercy Hospice. A funeral mass will be held at 2:00 p.m. on Tuesday, February 12, 2019, at St. Ambrose Cathedral in downtown Des Moines. Joint celebration of life services are pending for Miriam and her late husband, Sonny Armintrout and will be announced at a later date. Miriam Halbert was born to Russell Halbert and Anne Gregurich on May 30, 1948, in Omaha, Nebraska. The family would later relocate to the Des Moines area to raise their family. She attended St. Joseph’s Academy, and continued her studies at Drake, graduating with the class of 1971. 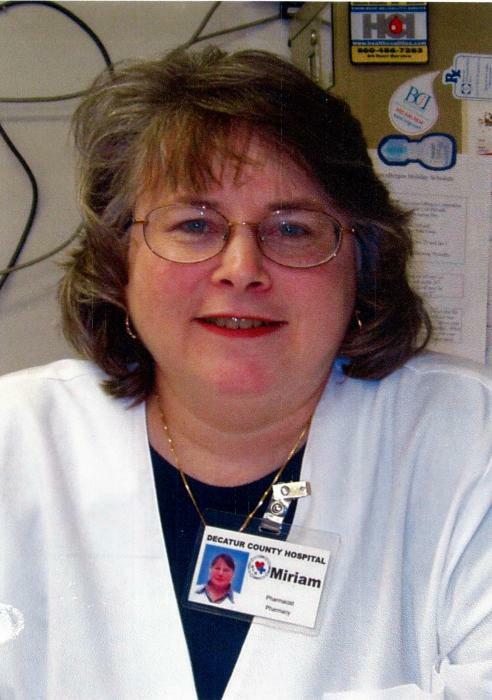 She would then begin her career as a pharmacist for close to 50 years, working with Des Moines General and Broadlawns Medical Center until her retirement. Miriam loved sewing and making blankets as well as crafting, going to lake Rathbun and antiquing along the way with her husband, Sonny. She loved the Iowa State Fair and was a ritualistic attendee. Miriam also loved to enter her crafts into the competitions. She loved her family and enjoyed baking around the holidays; specifically Christmas. She was a member of St. Ambrose Cathedral and also attended a few other local churches. Most of all, she loved her family. She is preceded in death by her husband, Norman “Sonny” Armintrout; parents, Russell Halbert, Anne Gregurich; siblings, Candy Brafford and Russ Halbert. Left to cherish Miriam’s memory are her children, Tom (Niki) Willard, Rich (Dianne) Armintrout; sister, Mimi Downing; sister-in-law, Karen (Fred) Hauge, Joyce (Glen) Nation; 10 grandchildren, 14 great-grandchildren and 10 great-great-grandchildren as well as a host of extended family and friends.